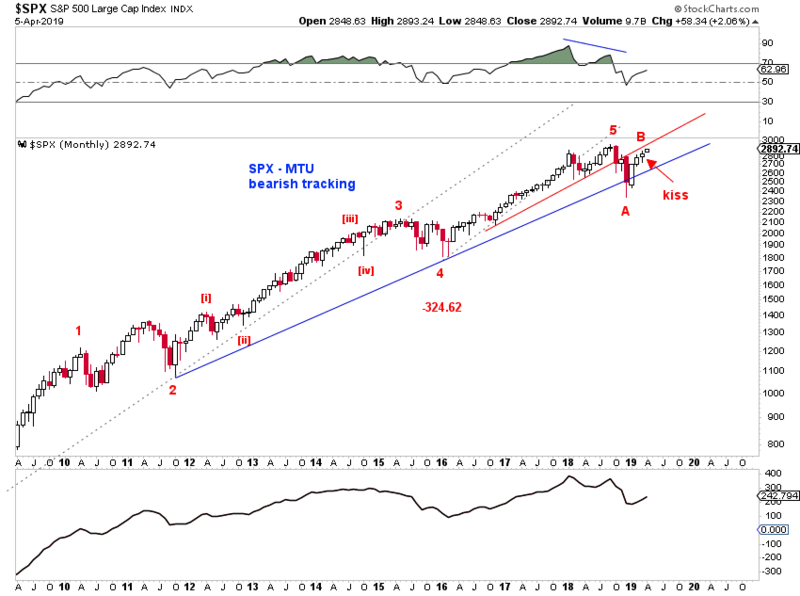 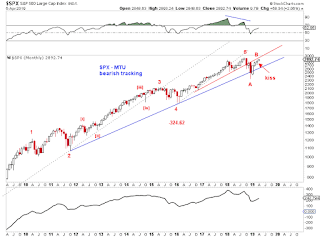 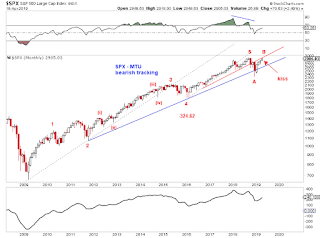 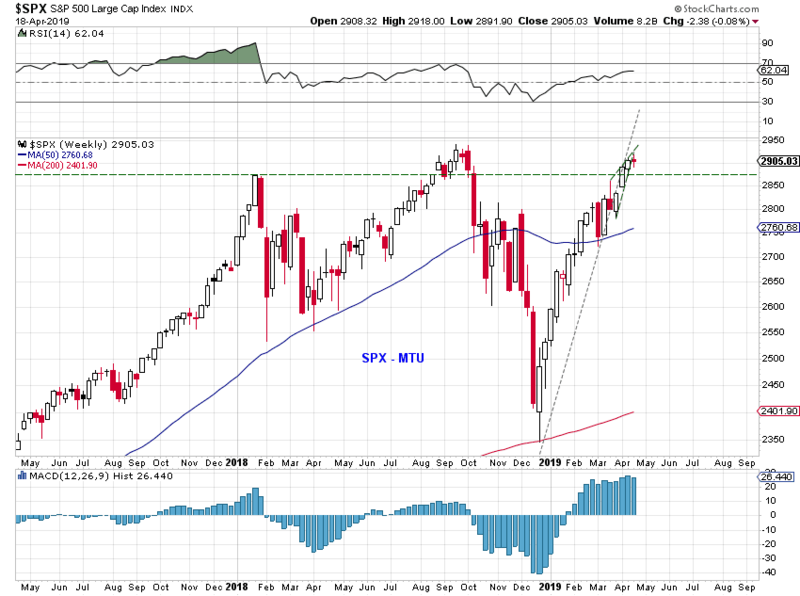 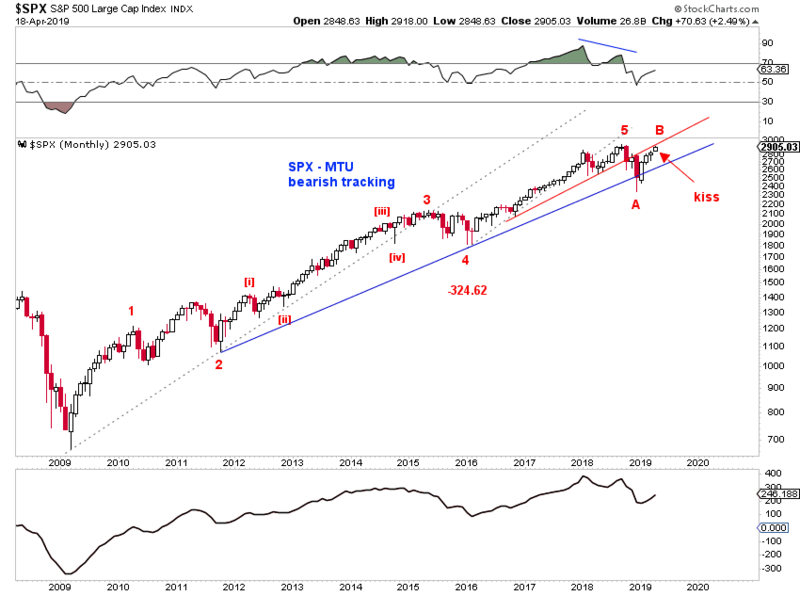 Interesting weekly and monthly candle in SPX. 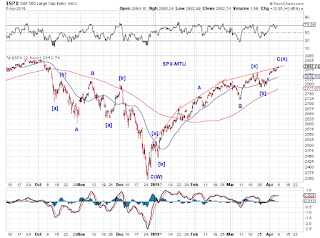 A potential ABC structure appears mature. 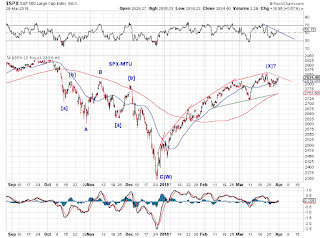 ES may be counted as a zigzag since the Dec low, but SPX counts better as a double zigzag-like structure. 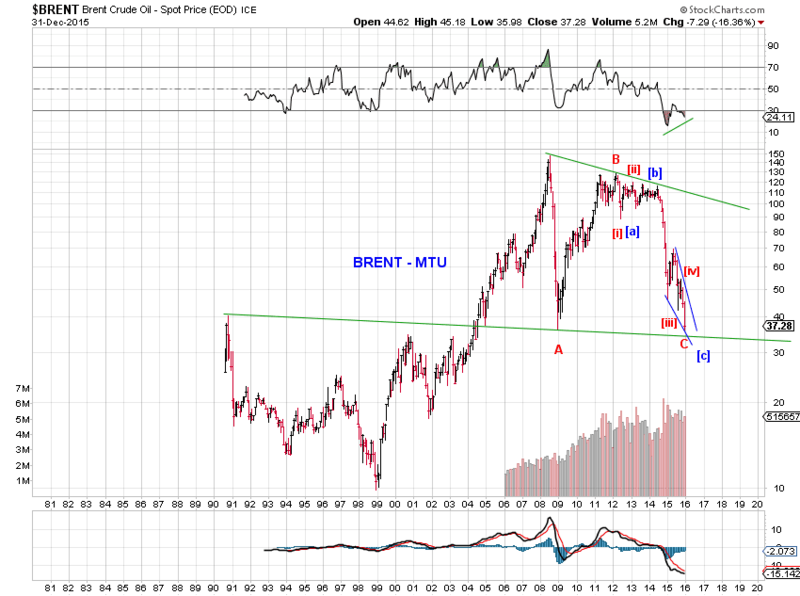 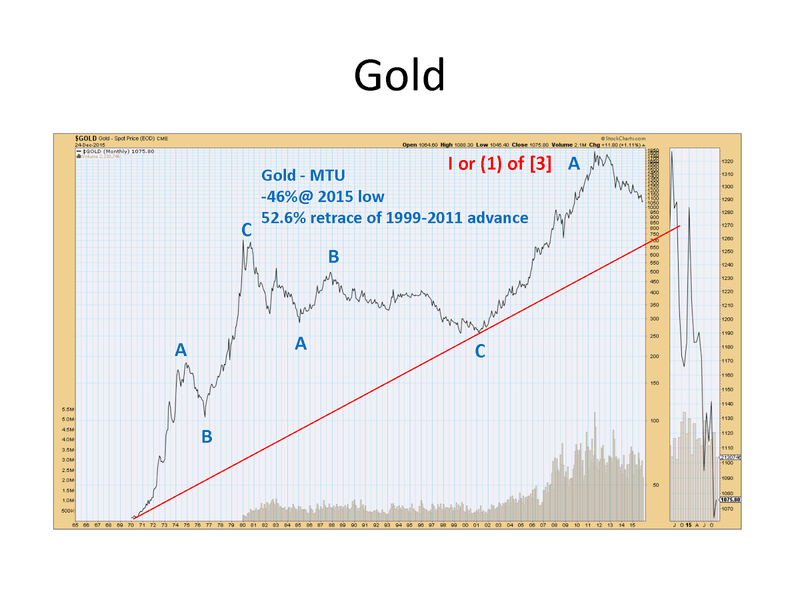 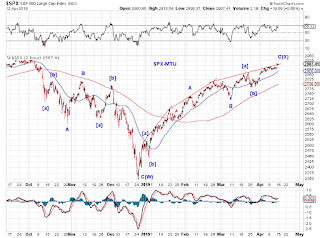 As the rebound pushes on, potential (synchronized) ABC structures may be present in several indices (Chart 1 to Chart 3). 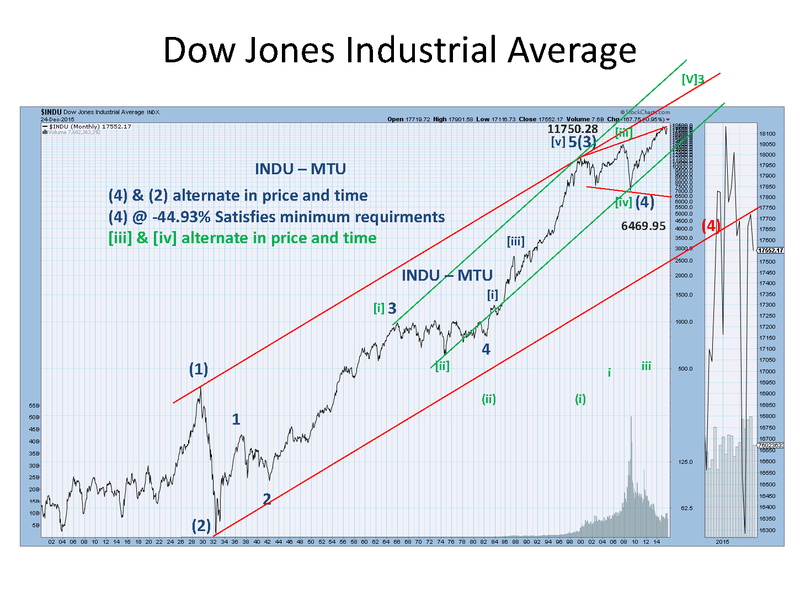 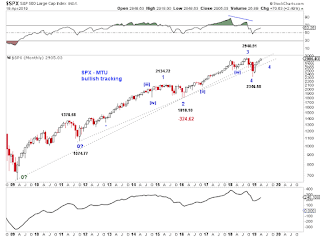 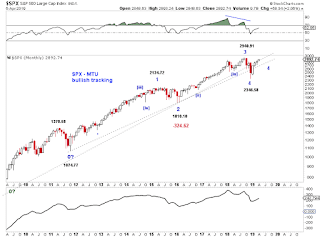 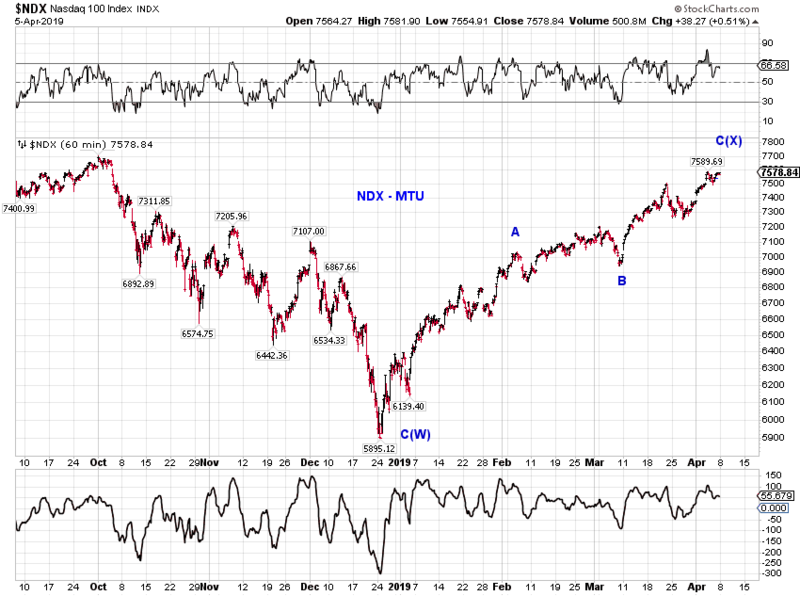 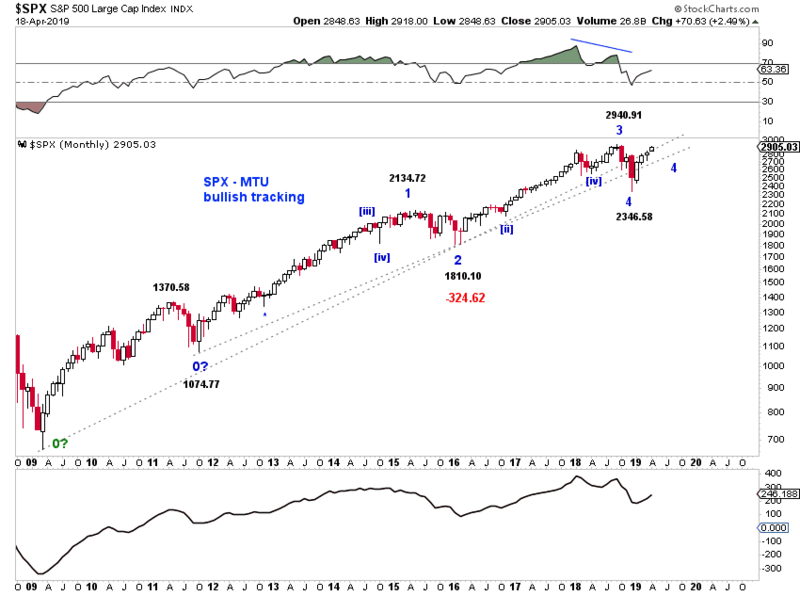 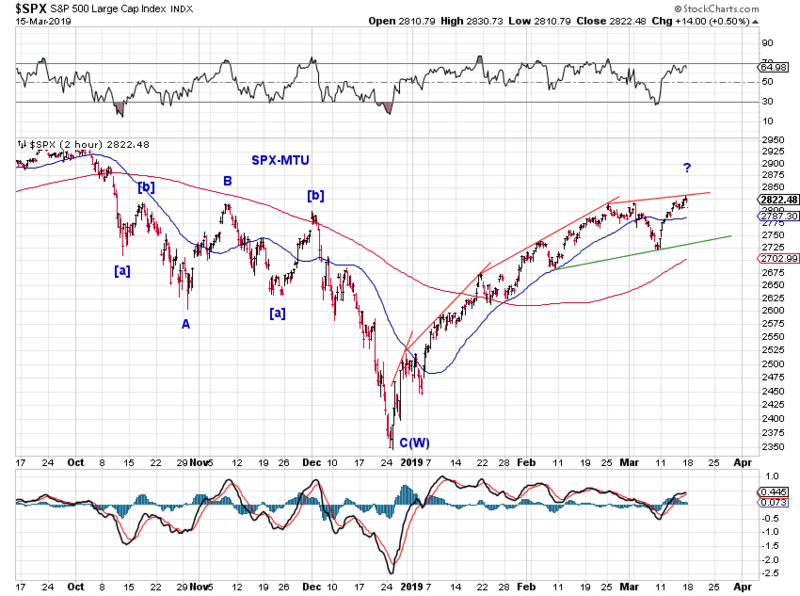 The larger-degree bull/bear tracking remain unchanged (Chart 4 and Chart 5). 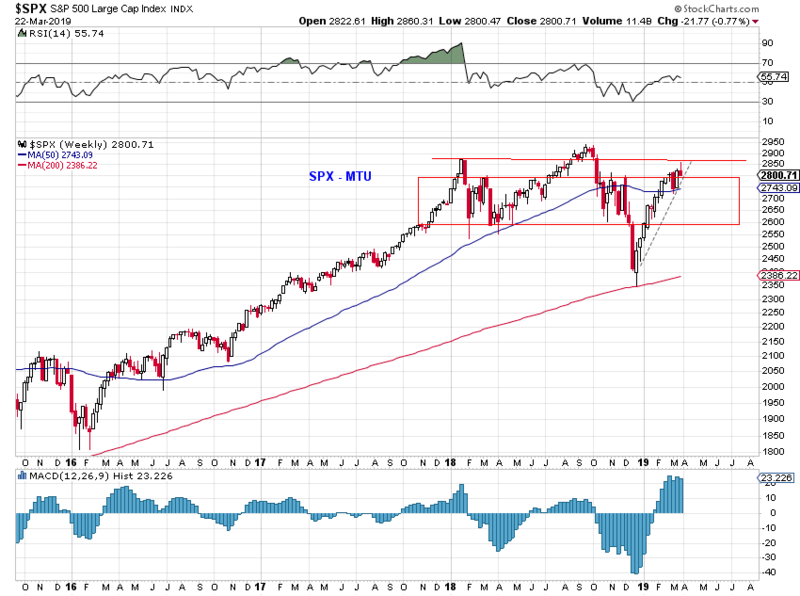 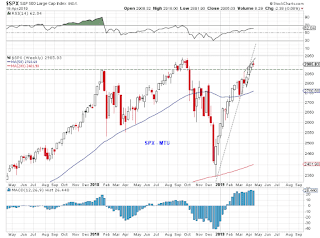 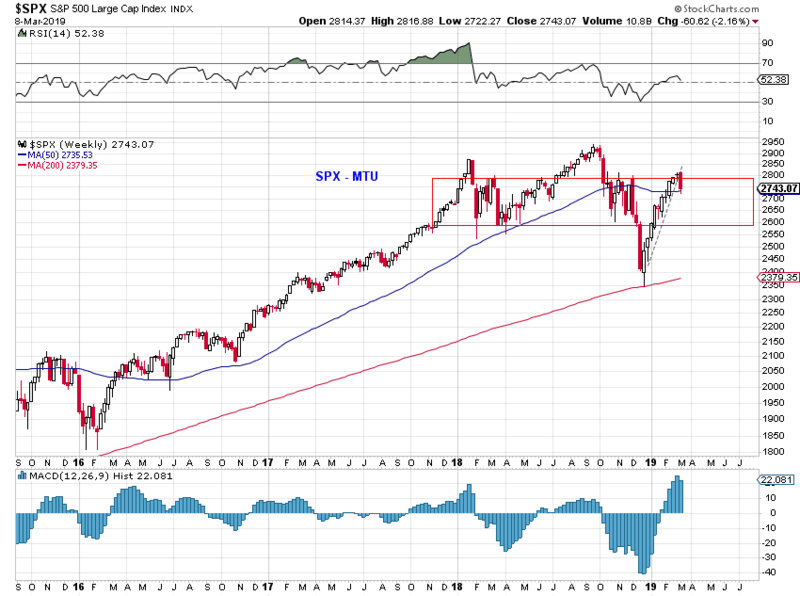 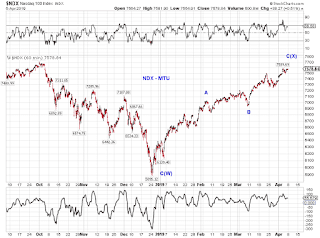 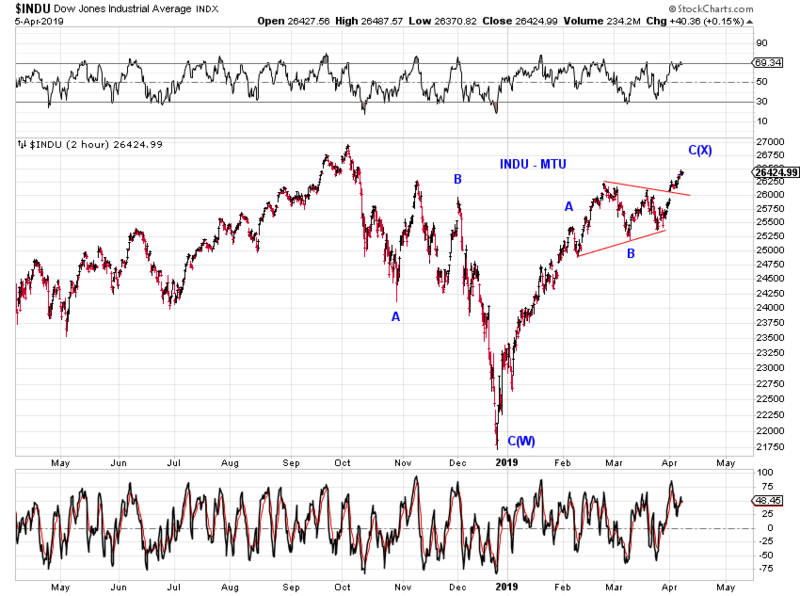 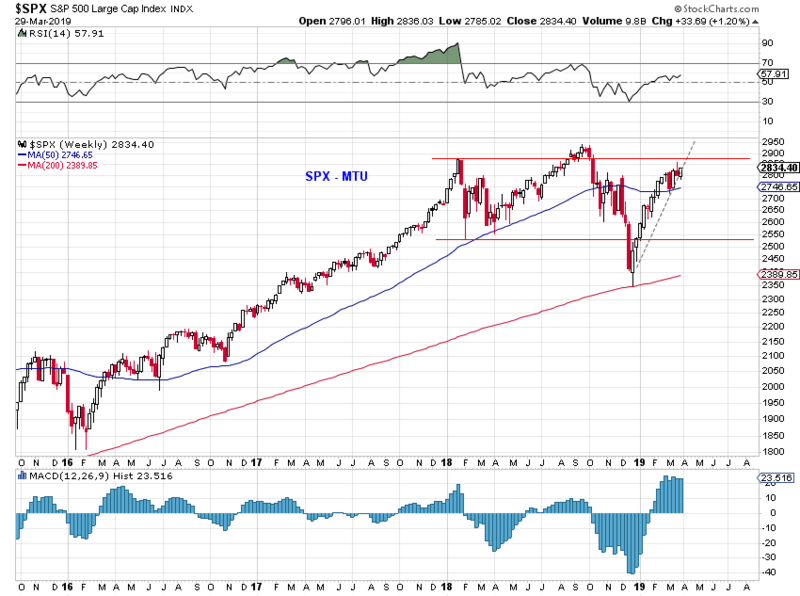 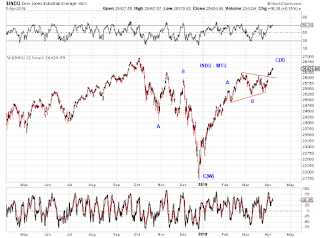 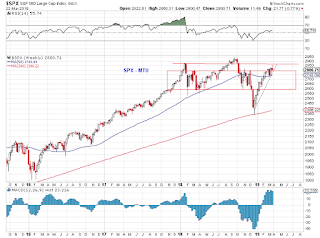 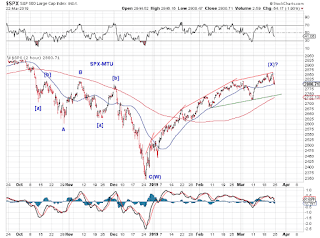 SPX reacted to overhead resistance and is retracing its rebound from the December low (Chart 1). 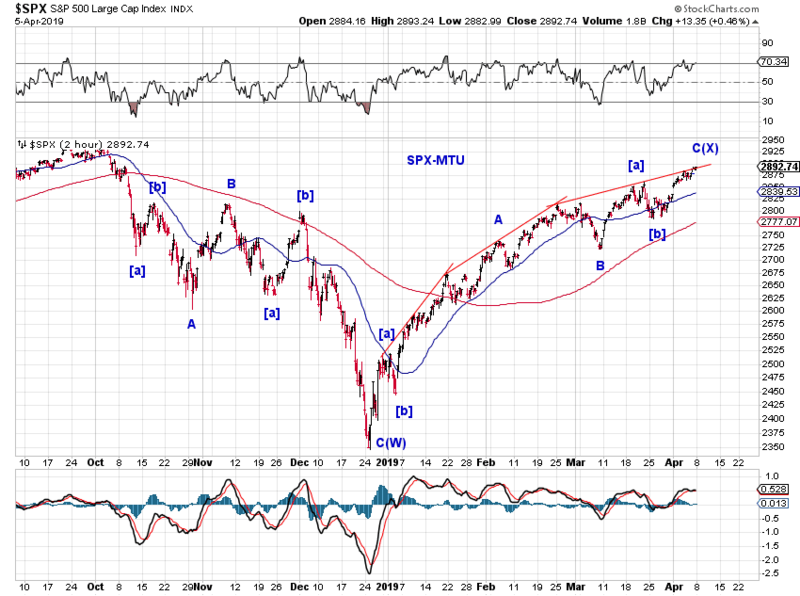 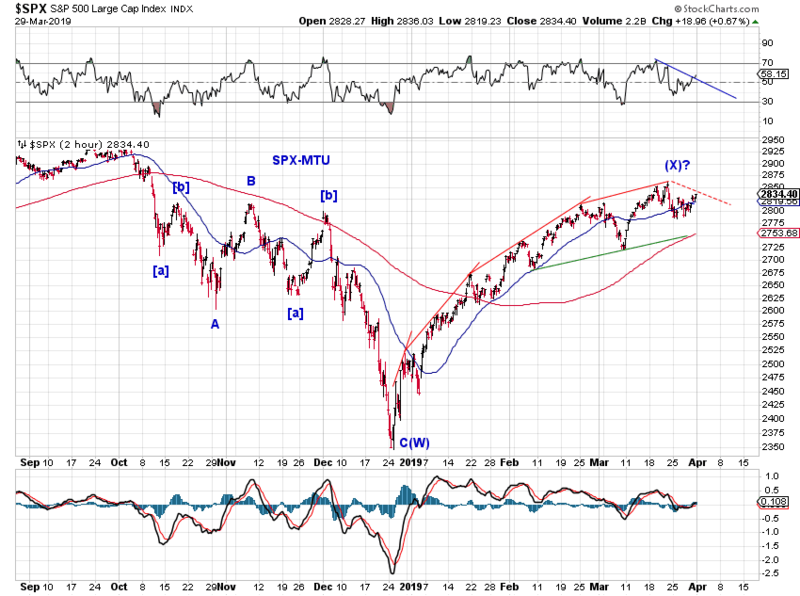 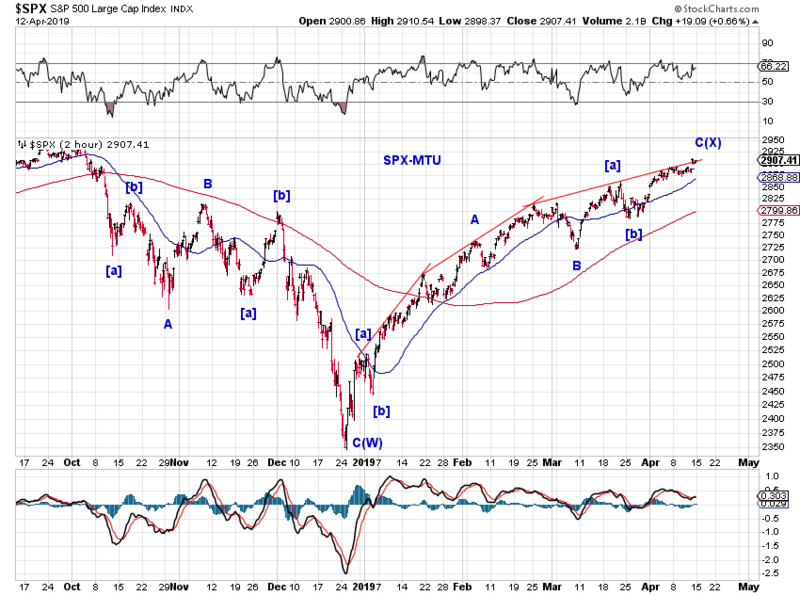 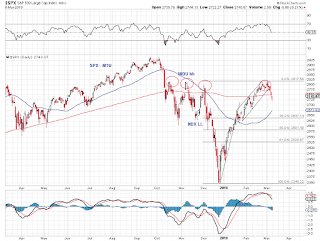 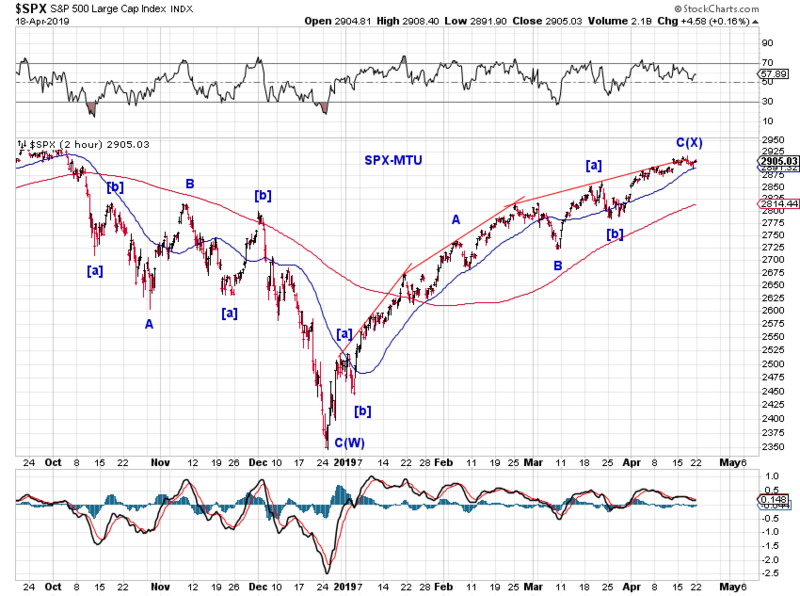 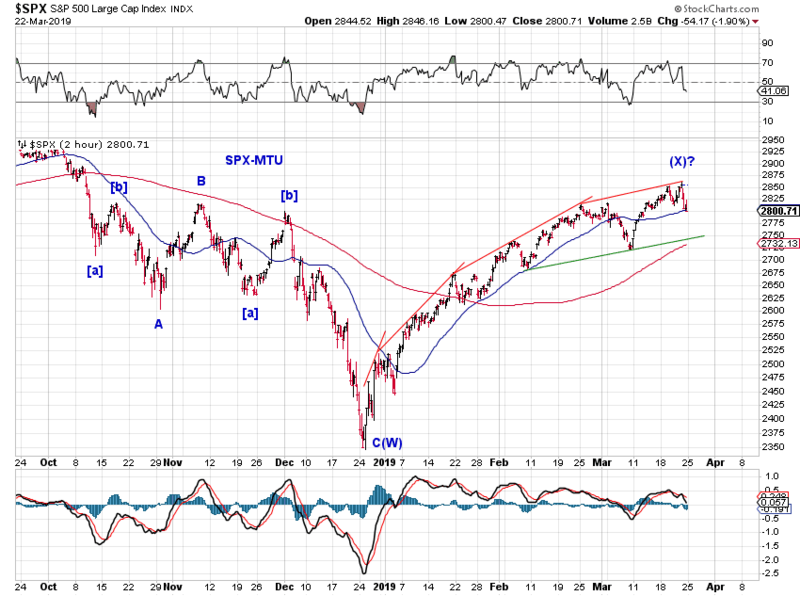 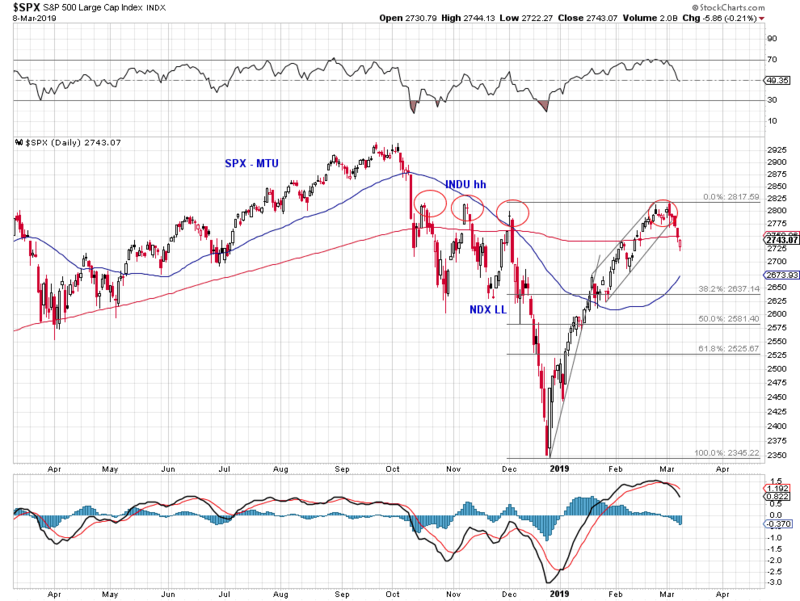 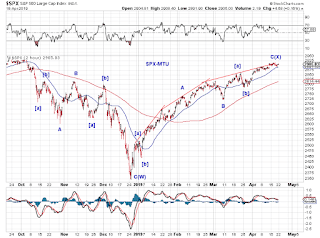 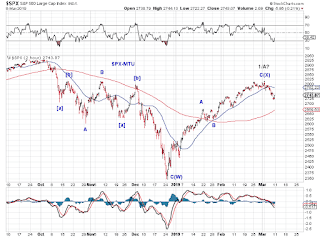 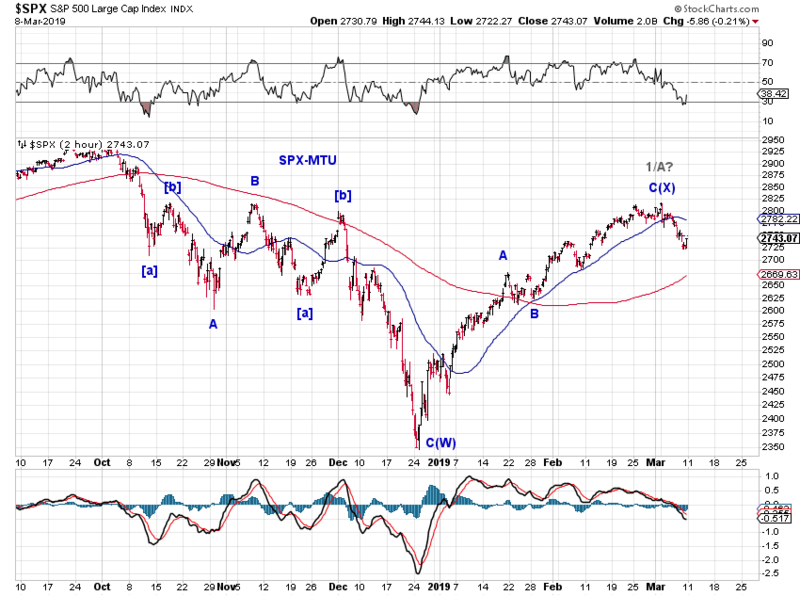 The 50-week SMA offered some intraday support (Chart 1) but SPX closed below its 50-day SMA (Chart 2). 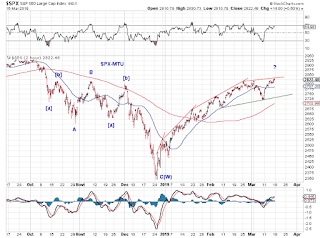 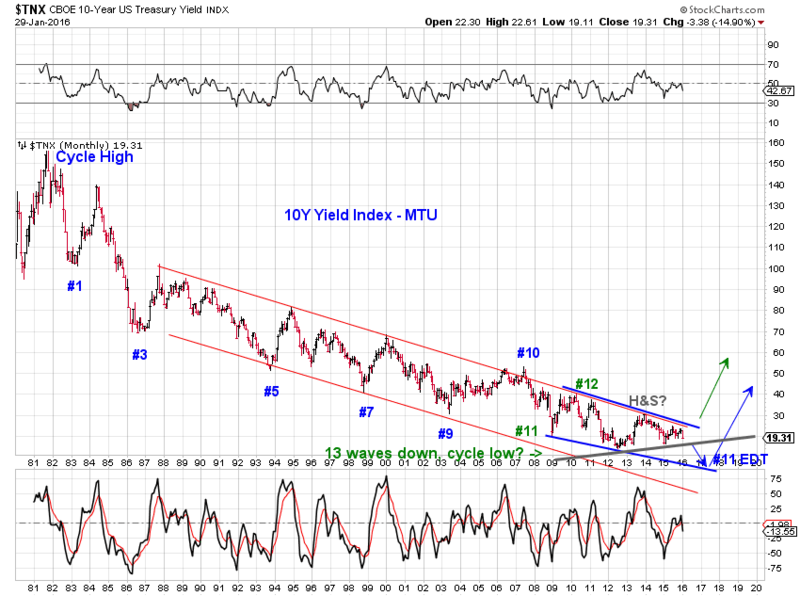 Time will tell if this is a minor retrace or a reversal (Chart 3).